Today, the NJ Senate & Assembly Environment Committees held their third joint hearing on legislative oversight of the Sandy rebuild efforts. For the second time, the Committee invited Gov. Christie’s “Sandy Rebuild Czar” Mark Furzan and the Department of Community Affairs (DCA) Commissioner to testify. 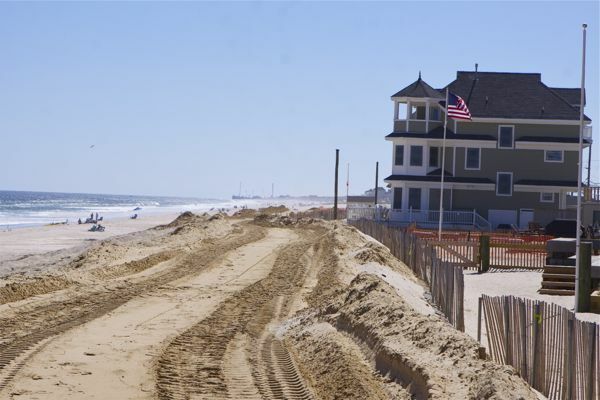 It is unclear what Ferzan’s role and responsibilities are, but DCA prepares NJ’s plans for billions of dollars of federally appropriated Sandy rebuild funds overseen by federal HUD. For the second time they refused. Amazing arrogance and evasion of accountability by the Gov., regarding an issue upon which he has literally seized and consolidated Executive power, and singlehandedly used to build a national media presence, political ambition and strong favorable NJ poll ratings. At the first August 15, 2013 hearing in Atlantic City, I recommended that the Committees issue subpoenas to compel testimony from the entire Christie Cabinet, including “Czar” Ferzan, who seems to serve independently and without oversight in an ad hoc and legislatively unauthorized and un-budgeted Christie Cabinet role. Despite that, weeks later, both Chairpersons merely complained about the Administration’s failure to appear, failing to even broach the subpoena issue, as if they were powerless to push back. Chairwoman Spencer went even further, at one point claiming “there’s nothing we can do”. Oh well. Another successful evasion by the Gov. The hearing basically was a shorter rehash of the Atlantic City hearing. The “highlight” of the hearing was a bit of a cat fight, as Senator Beck lept from her chair, bypassing the customary protocol “through the chair” – with a question to the witness not prefaced with the obligatory “with all due respect” – and fired up her microphone to challenge Staci Berger of the Housing and Community Development Network of NJ. Berger had challenged Beck’s prior comments defending the Administration and blaming federal HUD for the problems. Berger correctly noted that the CDBG program provided significant flexibility to states, that the design of the HUD funded programs was done by NJ State officials (in DCA), and that the private contractor implementing the program was procured under a contract with State officials. Berger went on to say that it was “disingenuous to argue” that HUD was the source of the problem – which prompted Senator Beck’s retort. 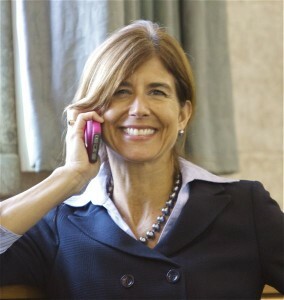 Ms. Berger, being a gentlewoman, demurred from the cat fight and let Senator Beck’s challenge lie. I was the next witnessed called and was going to follow up on this testimony and call Beck out for not only her defense of the Administration, but for her role as insider – she is literally acting as the exclusive Legislative Liaison to the entire Christie Administration on virtually all Sandy issues. But, likely anticipating my rant, Beck got up and left as I was called to testify. Highlighting the NJ Transit fiasco, the need for the Legislature to mandate that the Administration conduct infrastructure vulnerability assessments and climate change adaptation planning. I advised Legislators that this could be legislated via either amendments to the enabling legislation for each individual infrastructure planning program – or comprehensively under the umbrella of a Coastal Commission or a Climate Change Adaptation Plan. Because the planning and preparation are is NOT happening now and the administration has ignored multiple scientific warnings, the Legislature must act to mandate it. I again warned that NJ is the only state in the northeast without an adaptation plan, likening Gov. Christie’ NJ to North Carolina, where Republican climate denying legislators there have prohibited consideration of climate change impacts in coastal planning. You can listen to the entire hearing here. [End Note: Amazingly, not one coastal group testified today. Because Tim Dillingham from ALS and Sean Dixon from COA were present, I can only assume that that failure was to avoid criticizing and embarrassing the Gov. – NJ Future and Sustainable NJ were no shows as well. Normandy Beach, NJ (BEFORE SANDY) Several of these houses are now gone. You was my brother Charlie – You should have looked out for me a little bit. It is amazing to watch the desperate contortions that corporate flacks and their captured spineless regulators will go through after being caught with their pants down. Yesterday, South Jersey Gas Company (SJG) made a presentation on their proposed pipeline to the Planning and Implementation Committee of the Pinelands Commission. The presentation was more of a regulatory house of cards than a science based impact assessment. The questions posed by the Commissioners revealed that they know very, very little about the project or its impacts and risks; that they rely heavily on South Jersey Gas Co. expertise and promises; and that the project would basically be privately self monitored. But immediately after the SJG presentation and a brief round of softball questions, without providing an opportunity for public comment and without any Committee discussion or a vote, the Chair of the Pinelands Commission directed staff to begin negotiation of a “Memorandum or Agreement” (MOA) with SJG to authorize construction of a 22 mile $100 million pipeline through the Pinelands National Reserve. But in a new twist, the company asserts its primary goal is to improve reliability of its network. Critics pounced on that Friday, saying the state Board of Public Utilities, in endorsing the project, wants it for system reliability and the power plant, and would not approve it without both uses. 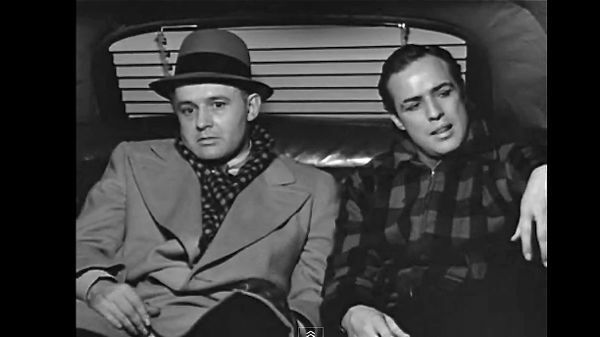 And of course, Marlon Brando tells the story far better than I could imagine, so, maybe instead of reading this post, just read Kirk’s story and watch the video and use your imagination. The proposed SJG pipeline violates the forest policies of the Comprehensive Management Plan (CMP). Under the CMP and Commission regulations, the only way that the Commission could approve the project is under a MOA. Under normal circumstances, the Pinelands Commission expects that a public agency’s development plans will conform to all of the land use [N.J.A.C. 7:50, Subchapter 5] and development standards [N.J.A.C. 7:50, Subchapter 6] of the Pinelands Comprehensive Management Plan [CMP]. However, there may be instances where a public agency believes that a specific development plan can not conform to all of the CMP’s requirements. Although the Pinelands Commission expects these types of situations to be very rare, the CMP [N.J.A.C. 7:50 – 4.52 (c)] does allow the Commission to enter into an intergovernmental agreement that authorizes a public agency to undertake development activities that are not fully consistent with Pinelands land use and development standards. The obvious fly in the ointment is that the South Jersey Gas Company is NOT a “public agency” and the pipeline is not a public development plan . Instead, the pipeline is a privately owned profit seeking speculative economic investment. The pipeline originally was conceived, designed, and justified as a dedicated pipeline to re-power the private BL England power plant in Beesley’s Point. So, SJG needs to conjure up some public benefits and public rationale. In an attempt to comply with the CMP and MOA regulations, South Jersey Gas Co. desperately is trying to misrepresent this private speculative investment to serve a private power plant as:1) a public project, 2) that provides public benefits (“reliability”); 3) ordered by the BPU and DEP, 4) that benefits the Pinelands. To support that lie, they have: 1) cynically renamed the project as the “BL England and Reliability Pipeline”, 2) exaggerated the “reliability” aspects, including the benefits to the Pinelands in terms of number of homes; and 3) essentially misrepresented the BPU and DEP Orders as State mandates or directives to build the pipeline and repower the BL England plant. In fact, the pipeline and the BL England re-powering are private speculative economic profit seeking ventures done purely at risk. It is unclear how many homes in the NJ Pinelands would be provided “reliability”, but it is far less than the 63,000 the company tried to suggest would benefit. On the” reliability” issues, there also seems to be a conflict with the BPU testimony. Previously, BPU told the Commission that the project was justified primarily by the Energy Master Plan and re-powering of the BL England plant. But BPU also noted secondary reliability objectives. BPU stated that the Board approved the project as serving in state energy capacity and that BOTH objectives would be served. BPU said the project was not feasible without the primarily BL England re-powering objective. In contrast, SJG stated that they would pursue the project as a stand alone reliability project, independent of the BL England plant. So, what began as a dedicated pipeline to BL ENgland has now morphed into a back up reliability project! And of course SJG would be pleased to buy the Pinelands Commission approval with $10 – $20 million of your ratepayer money, all while earning a 10% profit on that bribe under BPU 100% cost recovery as a “regulatory requirement”. This pipeline project is following the corrupt mitigation model set by the SR power line through the Delaware Watergap. Similarly seeking to mask what’s going on, the Pinelands Commission is desperately try to create the false impression that the project is being evaluated on its merits, independently, in the public interest, based on science, and in a transparent and objective fashion, instead of being dictated from Trenton and south jersey political power brokers. To support that lie, the Commission is hoping to avoid inconvenient facts, including the chronology of the project. So yesterday, I asked the Commission how the BPU managed to arrive at a MOA and what was their basis for including it in the Order. Obviously, there had to have been coordination and a green light from the Commission or the Executive Director (most likely at the top down direction of the Gov.’s Office, who is coordinating the BPU, DEP and Commission approvals). And then there’s the little problem that the BPU Order talks about a MOA between the Commission and BPU, while the Commission yesterday authorized MOA negotiation with SJG! Slight conflict, no? Oops! So, the idea of a MOA was built in long ago, not arrived at during yesterday’s meeting after the SJG presentation as Chairman Lohbauer attempted to portray. That SJG presentation and Lohbaur’s response were an orchestrated charade – a sham effort at post hoc rationalization of a done deal. But instead of directing staff to take these common sense steps to close loopholes, protect the integrity of the Commission’s review process, and better protect Pines ecosystems, Chairman Lohbauer directed staff to negotiate a MOA with SJG. It is now looking a lot more like “On the Waterfront”. But,the Commission can prove me wrong by rejecting a MOA deal and killing the project. I hope they do. The choice is up to them. Just Say NO TO MOA! The NJ Water Supply Advisory Council met last Friday. It remains unclear if the long overdue Water Supply Plan Update will ever be released for public review – former DEP Commissioner Mark Mauriello has called that failure “embarrassing”. The DEP’s Statewide Water Supply Plan will not include climate change impacts, despite stern warnings from Rutgers University and the NJ Climate Adaptation Alliance. Rutgers professor Dan Van Abs – formerly head of DEP’s water supply planning team – briefed the WSAC on August 18 and his recommended actions were rejected. I asked about this Van Abs briefing and specifically put that question directly to the Commission and DEP at Friday’s meeting and was told that no climate impact or adaptation work would be included in the next plan update. That is shockingly irresponsible – just ask the people in Monmouth County – who sufffered a climate change related water emergency – about that. It looks like the Christie Administration’s highly touted “asset management” approach to water infrastructure is seriously flawed (see also: DEP Dims The Lights on Clean Water). But as a result of Gov. Christie’s political denial of climate change, NJ’s drinking water infrastructure will remain highly vulnerable to climate change impacts. “So none of this work is getting done,” said Bill Wolfe, a 30-year-veteran of DEP and now a harsh critic. To Bill Wolfe, director of the environmental group NJ PEER, “the Rutgers work shows how the FEMA maps underestimate risks.” He wants to see the new tool formally incorporated by the two agencies. 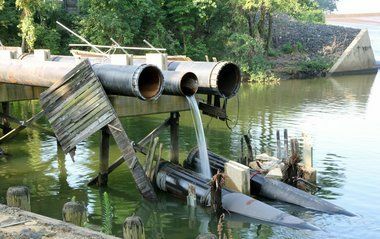 Trenton — Experts see climate change having major impacts on New Jersey’s water supplies and infrastructure but the state is not paying attention, according to documents posted today by Public Employees for Environmental Responsibility (PEER). Failure to take steps in the short-term allows risks to multiply while forfeiting flexibility needed to effectively avert, mitigate or respond to coming water emergencies. More intense storms will create more turbidity, thus increasing treatment costs. The state’s rudderless water posture is aggravated by Christie administration polices, such as a regulatory moratorium which prevents updated water supply regulations and a “Red Tape” review designed to roll back rules related to water resource management. Even though it advises DEP, no DEP staff even attended the last Water Supply Advisory Council meeting and the current DEP Commissioner has never met with the Council. Once again, Gov. Christie has hoodwinked the media and turned a huge policy vulnerability into a huge political and media PR win. Once again the clueless media have given the Governor a national platform to self promote. NJ is less prepared for future storms and actually will be worse off when the next one hits as a result of the Gov.’s policy failures and lack of planning. There are critical facts that expose the Gov.’s self serving spin that are completely ignored, including the recent testimony of former DEP Commissioner Mark Mauriello, a coastal geologist with 30 years experience, who called Christie’s Sandy recovery plan “drunk on federal money”, and a “dangerous path” that is costly and economically “unsustainable“. 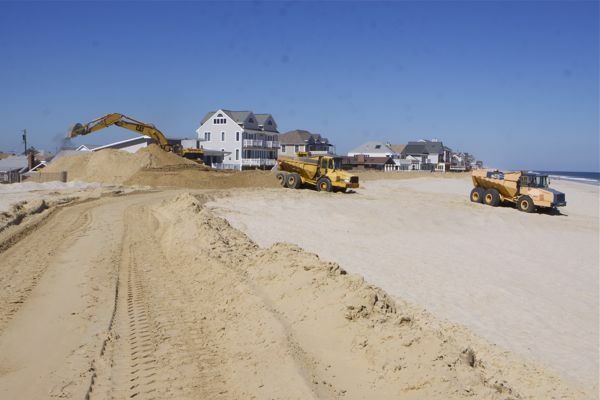 What is going on on NJ shore right now is status quo beach replenishment in drag, supplemented by local efforts to pile sand and call them dunes. 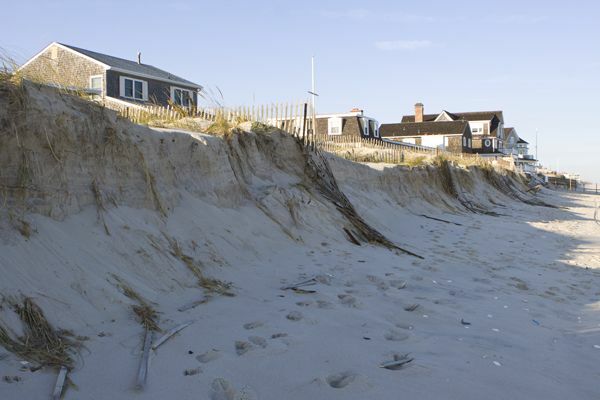 The USACE is not building dunes – under Sandy bailout, Congress required that the Corps submit a Report to Congress before they appropriate money for further work. Meanwhile, the facts that Gov. Christie recklessly promoted rebuilding in hazardous areas, deregulated rebuilding from DEP environmental review, and that even real dunes are not a panacea go completely unreported. Gov. Christie continues to deny risks of climate change and sea level rise and has failed to incorporate them in Sandy HUD rebuild plans or the NJ Hazard Mitigation Plan. 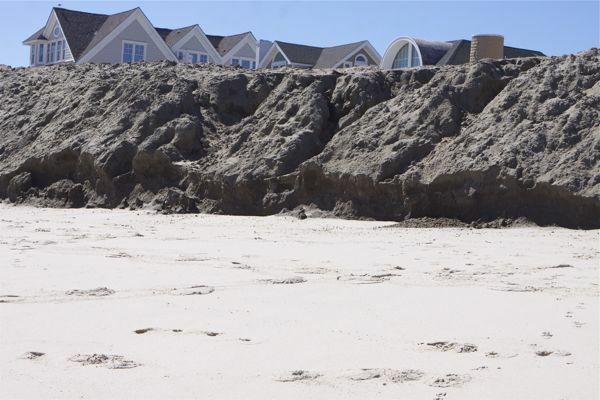 Remarkably, in fact, DEP historically had always issued warnings to the public that beach replenishment projects create a false sense of security and invite more development to hazardous areas. Instead of costly beach engineering, DEP recommended that development had to be directed away from hazardous locations under a policy of “strategic retreat”. But just like the George Bush White House rewriting EPA Climate Change reports, those DEP warnings have been deleted not just from the media reports, but from official DEP Coastal Hazard Assessment documents that are submitted to NOAA for approval. away from the hazardous areas. While some derogatorily refer to this option as “retreat,” from the perspective of sound planning based on the best available science, the concept actually involves “strategic adjustment.” Prudent planning requires that we expand upon the existing studies of the societal, economic, and environmental costs of possible mitigative actions while the greatest number of alternatives exist.The state’s coastal area continues to experience substantial seasonal and residential population increases. Conversion of formerly seasonal homes to year-round residences continues unabated. In many instances, formerly modest houses are replaced with significantly more expensive homes while property values continue to escalate. Don’t worry. 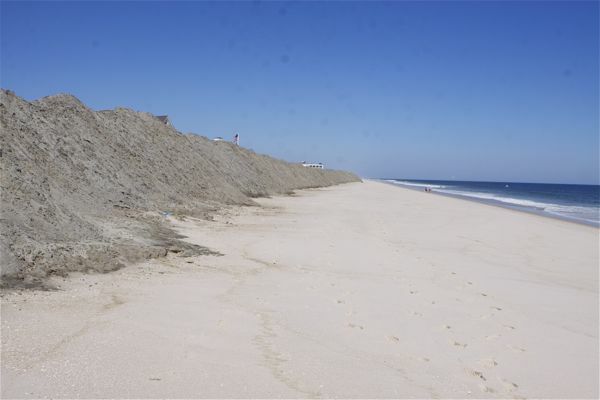 The Army Corps of Engineers is replenishing all of the beaches in Monmouth County. One problem: No dunes are included in the plan. Chris Gardner, a spokesman for the New York district of the Army Corps, told me the project must conform to the original design for beach replenishment that was implemented in the late 1990s. That design did not include dunes and this one won’t either, he said. 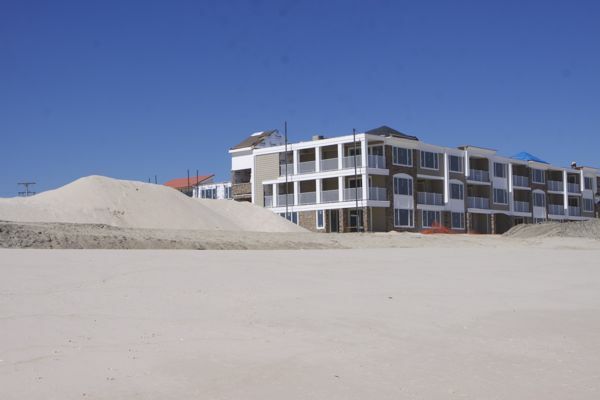 THIS IS WHT REBUILD MADNESS LOOKS LIKE _ high density development, rebuilt right on the beach, no dunes. The three most significant of these stressors – increasing water temperature, urbanization and degraded riparian habitat – are directly related to poor land use planning, lax regulation, and over-development. The DEP has effective planning and regulatory tools to protect trout streams and preserve riparian habitat. 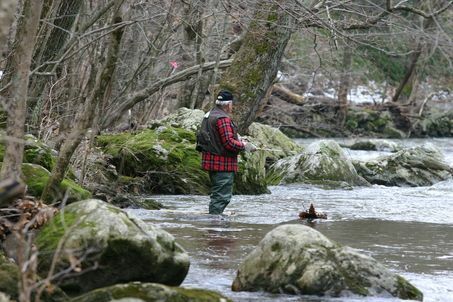 The most significant threat to the effective use of these tools to protect trout streams are the policies of Governor Christie and his incompetent DEP Commissioner, Bob Martin. Let me give just one of many clear examples of why this is true. A C1 designation by DEP provides 300 foot wide protected vegetated buffers on both sides of the stream. Vegetated buffers filter pollutants, provide wildlife habitat, and cooling shade. This helps keep native trout streams flowing cool and clean. During the 2009 campaign, Gov. Christie promised to expand this DEP C1 program, but, after almost 4 years, his DEP has failed to designate a single C1 stream. Not one. At the same time that DEP is failing to honor the Gov. commitment, the DEP is weakening other water resource protections and promoting economic development and poor land use that its killing the streams. Fishermen should remember in November.